Sporting Holidays of all kinds. Sea Fishing, Go Karting for all, Golf Courses, Lawn Bowls clubs. 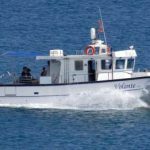 Sea Fishing Torrevieja Boat trips from Torrevieja Sea Fishing on the Costa Blanca But book if possible before you go on holiday!!! 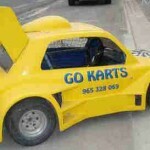 Go Karts Information Go Karting in Spain a guide to where they are situated plus details of finding them. Go Karts Information. 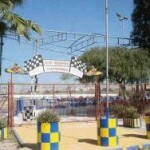 If you want a bit of speed and a bit of competition you could visit Go Karts Orihuela Costa. A go-karting track on La Marina’s doorstep. 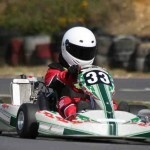 There are different categories of Karts which race at different times. The entrance is just off the N-332 Come down for a Day Out. 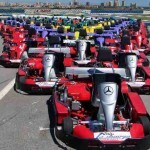 Situated in carretera de Palau, near the Aquapark on the outskirts of the town.Go-Karting Roses offers 850 metres tracks 8 to 10 metres wide.Go Karts Information. KartingTalavera Probably one of best go kart tracks in Southern Spain. Places to stay while there are listed on the page. La Manga Go-Karts has three Go Kart tracks, split into age and driving experience so everyone is completely safe, and has a variety of Go-Karts to choose from. Go Karts Information. Golf Clubs Alicante Costa Blanca Index page for Clubs for your next golfing holiday. 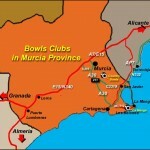 Guide to Clubs Costa Blanca This is the Index page for Golf Alicante area. Information and golf course guide on the various Courses here at CASTELLON Valencia Costa Azahar. Includes Club information and local accommodation for your next golfing holiday. For your next golfing holiday. Information Course Guide here at Valencia on The Costa Blanca in Spain. Plus usefull information on local accommodation for your next trip over to Spain. 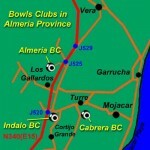 The four active Bowls Clubs in Almeria province are all located within 10 minutes drive of Mojacar. Lawn Bowls Bit’s and Bob’s Possible Present time. Click in for Ideas . Skiing in Spain . 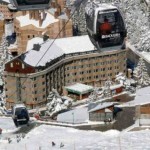 Cost of a skiing holiday in Spain or a weekend or even a day trip is far lower than elsewhere in Europe.We have listed a selection of where you can stay to ski here in various resorts. Surfing Somo Playa de Somo in Cantabria holiday surfing destination plus accommodation tips from Spain-info. 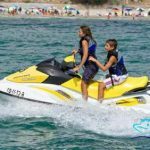 Jet Skis Fishing Torrevieja Sea Fishing Torrevieja Snorkeling, Fun Days Private Charter or Rent Jet Skis Banana boat’s Inflatable Water Park That Crazy Bed Torrevieja. 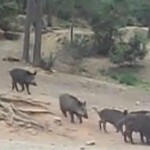 Boar Hunting Huelva is a province of southern Spain, in the western part of Andalusia. It is bordered by Portugal, the provinces of Badajoz, Seville, and Cádiz, and the Atlantic Ocean.a boar hunting area. Spain Info Sporting Holidays, San Francisco De Asis, Urb La Marina, San Fulgencio, 03177, Alicante, Spain.